Appropriate selection of measurement equipment is essential for the development and manufacturing of food products in a consistent, efficient and timely manner. Items such as refractometers, pH meters, thermometers and scales are just a few pieces of equipment that small businesses might consider when making initial equipment purchases. The purpose of this fact sheet is to provide basic information regarding the function and capabilities of measurement equipment for food product development and manufacturing. Refractometers can be used to measure the concentration of solutes in solution, such as sugar, salt and even automotive fluids. 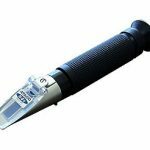 However, each refractometer is specifically designed to measure the concentration of a particular item. In other words, refractometers can be product specific. 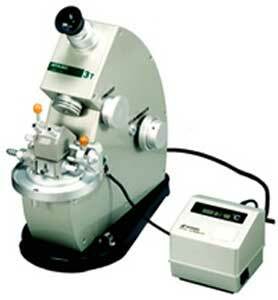 Additionally, some types of refractometers only operate within a specific range. 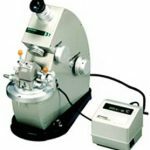 Therefore, it is extremely important when purchasing a refractometer to choose the correct type so measurements will be accurate and meaningful. 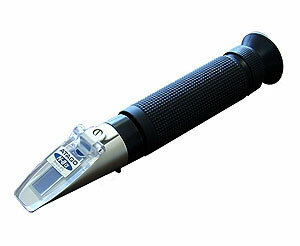 Temperature can influence the accuracy of a refractometer’s readings of the sample. It is often recommended samples be allowed to come to room temperature before measurements are taken. Unfortunately, room temperature may vary by season (winter vs. summer) as well as location (production floor vs. lab). Therefore, purchasing a refractometer that has automatic temperature compensation (ATC) is a good way to minimize temperature-induced variations in measurements. These units are less expensive and can be easily carried into the manufacturing environment to take measurements. However, they will usually only cover a limited range of brix values; therefore, it may be necessary to purchase several portable models to ensure all of the desired solute concentrations can be measured. For example, measuring the brix in fresh apple juice might require a refractometer with an operating range of 0 to 18 degrees brix; however, measuring the brix in apple jelly might require a refractometer with an operating range of 40 to 70 degrees brix. These units are more expensive; however, a single unit can typically be used to measure brix across the entire range of possible values. Digital bench top models also are available that automatically measure and display brix readings. These units can help reduce the variability between measurements taken by different operators since the measurements are read electronically rather than interpreted by a particular operator. 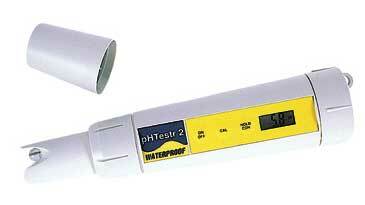 Federal agencies typically require that pH readings be reported to the nearest tenth (0.1) of a unit. While many pH meters are capable of this resolution, the accuracy range of the meter also must be considered. Many less expensive pH meters may have an accuracy of plus or minus 0.2 units. Therefore, an inexpensive meter reading a pH of 4.5 actually indicates the pH value falls within the range of 4.3 to 4.7. This would be extremely problematic since there is the possibility that the legal pH limit of 4.6 (established for many products) had been exceeded. 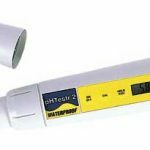 It is thus advisable to invest in a pH meter that offers a resolution and accuracy of at least 0.1 pH units. Meters come with probes that are either detachable or are an integrated portion of the meter itself. While both types of meters function equally well, those with detachable probes are more expensive. However, pH probes only have a lifespan of one to three years, depending upon conditions of use. Therefore, pH meters with detachable probes allow users to replace only the probe when necessary, while all-in-one units must be replaced entirely. The electrode is the pH sensing unit of the meter, and in certain types of probes, it is located at the tip of the probe in a glass bulb. These electrodes may be either sealed or refillable. Sealed probes require less maintenance and are easier to use, while refillable probes may last longer because their design allows them to be cleaned and “rejuvenated.” However, not all probes are constructed of glass. Solid-state probes also are available, but they may be more expensive. See http://www.phmeters.com/ for more information. Auto calibration and temperature compensation features are common in many pH meters. These features make it easier to calibrate the meter and read the pH of samples. Users of meters without these features will need to adjust the meters manually during calibration, sample reading or both to ensure accurate measurements. For additional information on pH meters, see Fact Sheet FAPC-117, “Choosing and using a pH meter for food products” by Dr. William McGlynn. It is illegal to use this type of thermometer in restaurants or food service establishments as the glass and inner liquids (mercury or alcohol) can pose physical or chemical hazards. Additionally, there are single-use thermometers available. These include T-stick® disposable; cardboard thermometers, which change color when exposed to pre-determined temperatures shown on the stick; and time-temperature indicators, which monitor and register accumulated temperature exposure over time. The accuracy and resolution of the different thermometers can vary based on make and model. Both the digital thermistor and thermocouple thermometers can have accuracies of plus or minus 1 degree C/F and resolutions of 0.1 C/F, while bimetal dial thermometers can have accuracies of plus or minus 1 percent of the dial range at any point on the dial. 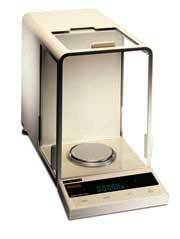 Scales ensure ingredients are weighed consistently and the finished product weighs a specified amount. This is extremely important because inaccurately measured ingredients can be a source of variation in product appearance, flavor and texture. Additionally, finished product that is under-filled may be deemed misbranded and subject to recall. There are three styles of scales that are commonly available: electronic top-loading, mechanical and electronic analytical. These scales are found throughout food processing environments, in labs or on the production floor. Electronic top-loading scales found in labs may be used to measure ingredients that weigh several tens or hundreds of grams. These scales are compact and can be positioned on counter tops so that small sacks or containers may be easily placed on them. The resolution will vary depending upon the scales’ maximum capacities. A scale with a maximum capacity of 500 grams may have a resolution of 0.01 grams while a scale with a maximum capacity of 4,000 grams may have a resolution of 0.1 grams. 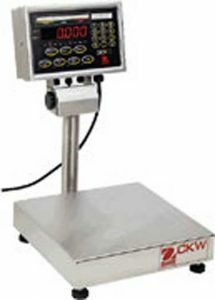 Electronic top-loading scales found on the production floor may be used to measure ingredients that weigh several tens or hundreds of pounds or kilograms. They are typically large and positioned near or on the floor to allow sacks and barrels to be easily placed on them. These units are constructed of aluminum or stainless steel for durability. Additionally, they may be water-proofed to operate in high moisture areas and to withstand wet cleaning procedures. As mentioned above, the resolution of these scales will vary depending upon maximum capacity. A scale with a maximum capacity of 25 pounds may have a resolution of 0.005 pounds (0.002 kilograms) while a scale with a maximum capacity of 500 pounds may have a resolution of 0.1 pounds (0.05 kilograms). Mechanical scales also are known as single, double or triple beam balances. They are sometimes used in laboratories and pharmacies. While these scales are usually less expensive than electronic models, they require more skill and time to calibrate and read. These features often make mechanical scales unsuitable for use in a food manufacturing facility. These scales are identical to electronic scales; however, they are used for measuring extremely small weights and may have resolutions in the thousandths (0.001). These scales are often used in laboratories that perform chemical analyses; however, due to their relatively low maximum capacity, they would probably not be used for routine measurements in a typical food manufacturing facility. For each of the previous pieces of measurement equipment discussed, there are several additional factors that should be considered. The cost of equipment, new or used, can often be expensive for entrepreneurs and small businesses, and purchasing the least expensive unit available is often the best, and only, option. However, future growth and needs should be anticipated. What is the operating range of the equipment, and will you exceed it within a year? Can the equipment withstand the increased wear and tear of longer hours and more shifts of production? What will it cost to maintain? To avoid repeated purchases or continuous maintenance problems, these questions should be considered. The reliability and accuracy of equipment can only be maintained through regular maintenance and calibration. This becomes imperative when dealing with equipment such as thermometers and pH meters that may be used to monitor some aspect of food safety. Depending on the food product and process, regulatory guidelines might govern the frequency of instrument calibration and maintenance. 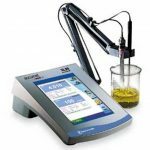 See Fact Sheet FAPC-117 “Choosing and using a pH meter for food products” at http://www.fapc.biz/pages/facts.htm for additional information regarding calibration of pH meters. Also, see FSIS guideline 7110.3 at http://www.fsis.usda.gov/regulations_&_policies/7000_Series-Processed_Products/index.asp for information regarding the calibration of thermometers. As mentioned previously, some types of equipment can be cleaned by washing the entire unit with water and detergent; however, equipment that cannot get wet may need to be disassembled or may require special procedures for adequate cleaning. Equipment meant to be used on the production floor may be constructed from more durable materials than the equivalent laboratory model which usually adds significant cost. Proper equipment selection is an essential part of establishing a successful food development and manufacturing business. Factors such as equipment capacity, ease of use, maintenance and durability should be considered before purchases are made. Additionally, any needs due to future growth also should be considered to ensure optimal equipment selection. Please feel free to contact the Food & Agricultural Products Center for additional information to aid in equipment selection. Food & Agricultural Research and Technology Center. Oklahoma State University. Fact Sheet FAPC-117. Choosing and using a pH meter for food products. William McGlynn.